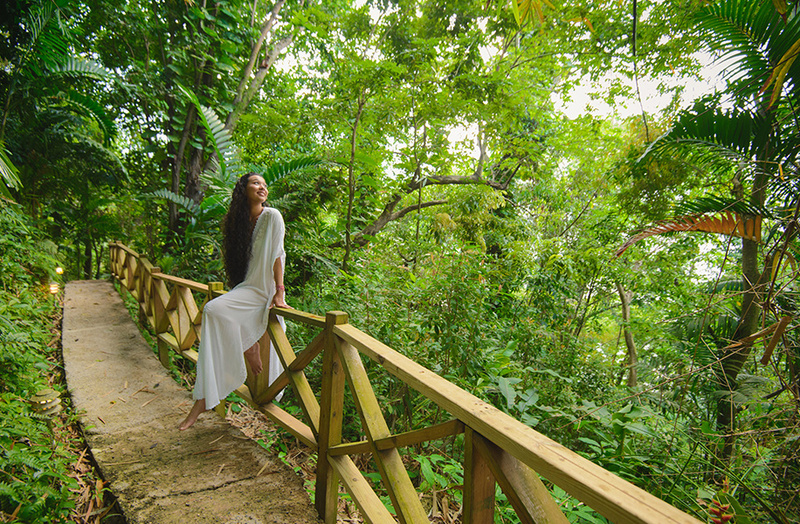 Welcome to the ultimate return to nature: A collection of eco-chic treehouses nestled high amongst 100-foot Banyans and rooted deep in Jamaican culture. 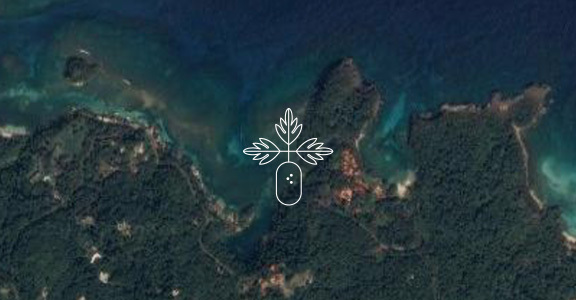 You’ll find us tucked along a secluded hillside overlooking the famed Blue Lagoon and surrounded by winding bamboo and ginger lily-drenched pathways. 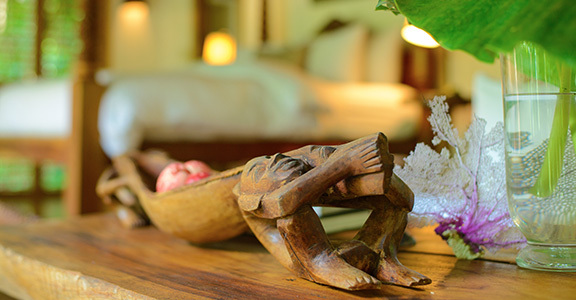 Kanopi House is the perfect escape for those in search of a little adventure and a lot of relaxation. 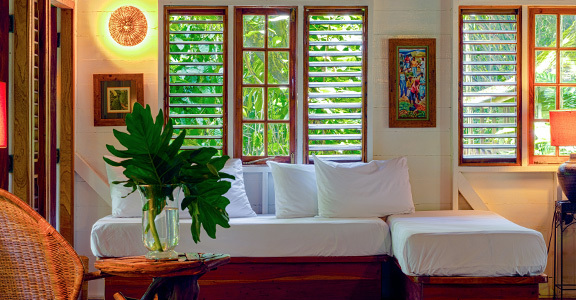 Our hideaways are built from locally sourced renewable materials, appointed with furnishings and décor hand-crafted by Jamaican artisans, each thoughtfully positioned to maximize the rainforest views. 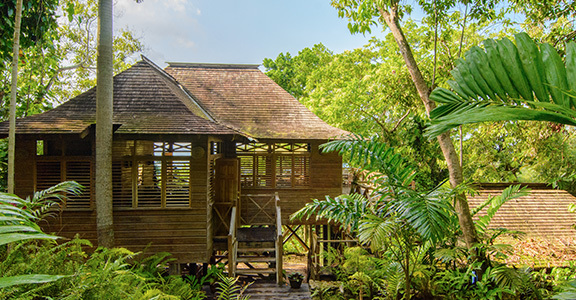 Wrapped in louvered walls and windows, they undeniably evoke the natural feeling of a bird’s eyrie: cosy, floating in the treetops, catching the Caribbean breeze. Some places change you. This is one of them. We believe in Jamaica, with all its rich history, effortless lifestyle, and always flowing kindnesses. We believe that good planets are hard to find, so we’re doing all we can to protect the one we’ve been given. 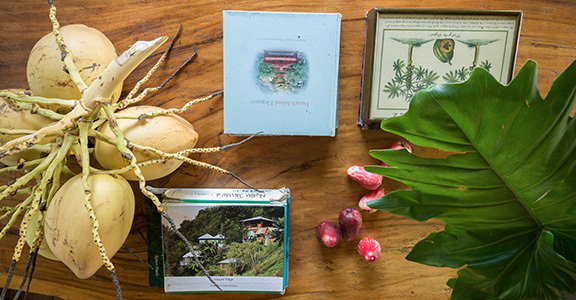 We believe in sun-dappled forests and moonlit nights, and unforgettable scents straight from the stem. 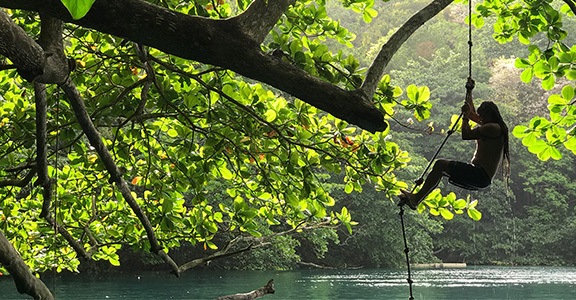 We believe in roadside jerk chicken, afternoon water taxis, and Jeep rides along mountain streams. We believe in learning from the trees we call home, so we always go out on a limb, stand tall and proud, remember our roots, and above all, enjoy the view as far as our eyes can see. This is our family’s fairy-tale. For 15 years, we’ve tended this idyll in our little corner of the Earth, and we hope to keep doing so for generations to come. Join us to make your own lifelong lasting memories, and experience the true Kanopi House way of life. If you’re looking for something a little different, take a quick look at our sister property in the Bahamas, Kamalame Cay. www.kamalame.com. No tree was felled in the making of Kanopi House. To accommodate the natural landscape, building plans were adjusted and some trees simply continue through the rooftops. We even repurposed a Guango tree chopped down by a neighbour into a selection of dining and occasional tables. Time spent among the trees is never time wasted. Savour our home-away from-home cooking. 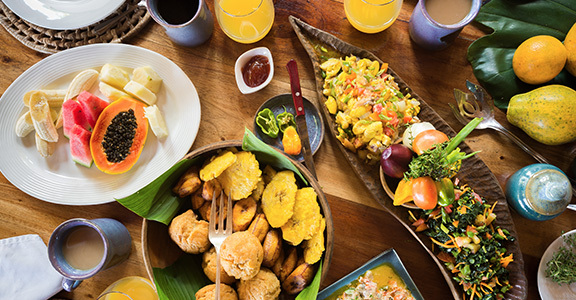 Rooted in traditional Jamaican flavours and dishes, our restaurant relies on seasonal sourced ingredients from local farms.